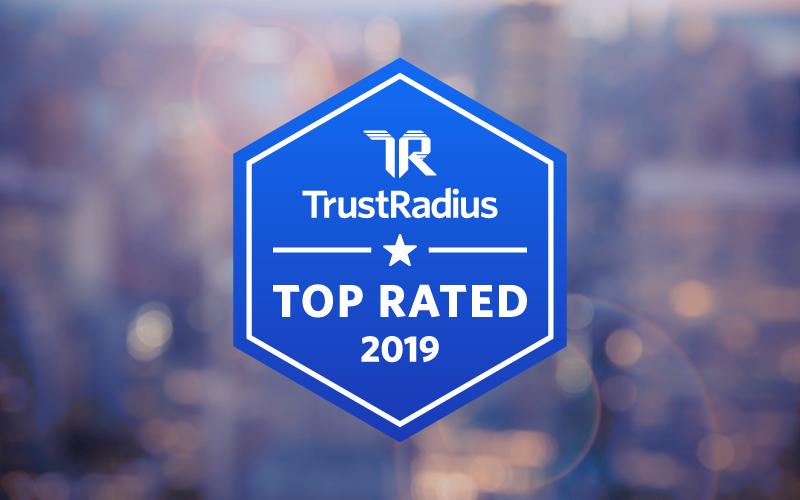 Zoom is excited to announce that we have been awarded the 2019 Top Rated Web Conferencing Software by TrustRadius again this year! Each month, about 400,000 B2B technology buyers use over 120,000 verified reviews and ratings on TrustRadius.com to make informed purchasing decisions. Since they launched in 2016, the TrustRadius Top Rated Awards have become an industry standard for unbiased recognition of the best B2B technology products. Based entirely on customer feedback, they have never been influenced by analyst opinion or status as a TrustRadius customer. Here is a detailed FAQ on the methodology and scoring that TrustRadius used to determine the winners. “The best compliment for us is to see all the rave reviews from our customers about Zoom. Seeing their happiness with our platform makes us happy, and when they have feedback we take that under advisement to make sure we continue to provide the best experience for our users and earn our Top Rated placement,” said Eric S. Yuan, Zoom’s founder and CEO. If you are interested to learn how top-rated Zoom can change your business today, sign up for a 1-on-1 demo with a Zoom product specialist!